Please present coupon to Service Advisor when order is placed. Limit one coupon per customer. Cannot be combined with any other offer. Tax, shop supplies, and environmental fees not included. Honda vehicles only. Please present coupon to Service Advisor when order is placed. Limit one coupon per customer. Cannot be combined with any other offer. Tax, shop supplies, and environmental fees not included. Honda vehicles only, price may vary depending on model. 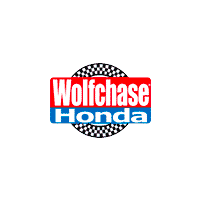 Present this coupon at the time of write up to receive a $10.00 discount off a full synthetic Oil and Filter Change Service at Wolfchase Honda! Please present coupon to service adviser when order is placed. Limit one coupon per customer per visit. Cannot be combined with any other offer or owner rewards program. Honda vehicles only (excludes Acura). Please present coupon to Service Advisor when order is placed. Limit one coupon per customer. Cannot be combined with any other offer. Tax, shop supplies, and environmental fees not included. Honda vehicles only, price may vary depending on model, 9 & 10 Speed Automatics are excluded. Please present coupon to Service Advisor when order is placed. Limit one coupon per customer. Cannot be combined with any other offer. Tax, shop supplies, and environmental fees not included. Honda vehicles only. Excludes drum brakes. Removes water & ethanol from your fuel system. Improves MPG. Please present coupon to Service Advisor when order is placed. Limit one coupon per customer. Cannot be combined with any other offer. Tax, shop supplies, and environmental fees not included. Honda vehicles only, prices may vary depending on model. Restore your alignment to factory specs. Please present coupon to Service Advisor when order is placed. Limit one coupon per customer. Offer valid only at Wolfchase Honda. CAnnot be combined with any other offer. Tax, shop supplies, and environmental fees not included. Honda vehicles only.